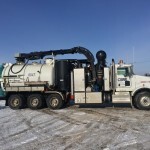 With many different pieces of equipment including, skid steers, loaders, excavators big and small, dozers, rock trucks, gravel trucks, tractor/mowers to take on jobs such as large foundation preps, lease builds, crane pads, trenching, basements, septic tanks, landscaping, dugouts to snow removal – there is no job too big or small! 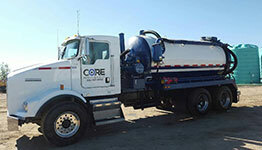 With our highly experienced operators CORE can provide from single to triaxle trucks 24/7 for day lighting, pressure testing, line jetting, tank cleaning & line locating. 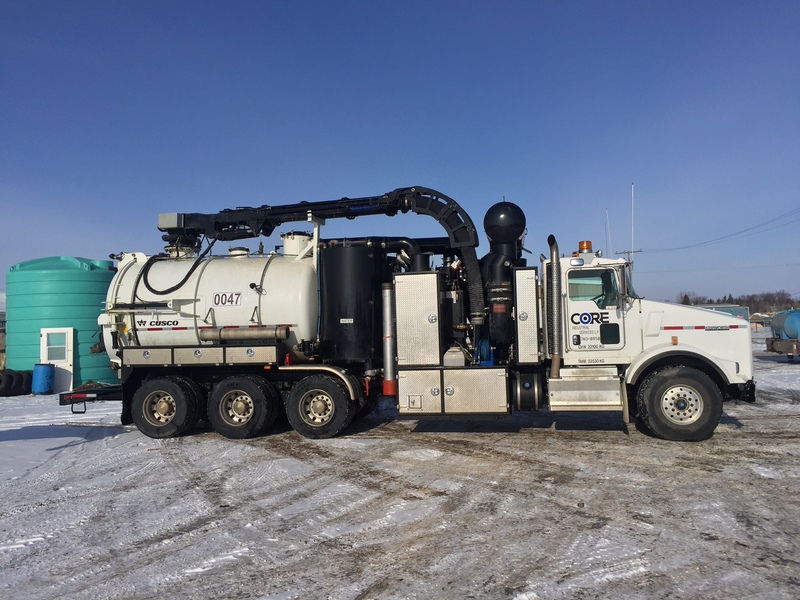 From septic to vac services CORE has Single Axle, Tandem Axle & Tanker trucks with oversized pumps to handle any job. 1650G, 2850G & 6700G tanker units available. Potable or Raw water hauling. From flat deck hauling to heavy equipment hauling CORE has trucks and semis that will meet your needs – 2 ton trucks to 50 ton front detach, double drop low boys with jeeps. 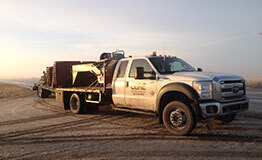 Provide side dump and end dumps semi/trailer units for all your hauling needs. Lights towers, Generators, Pumps, Heavy Equipment, Washrooms, other. 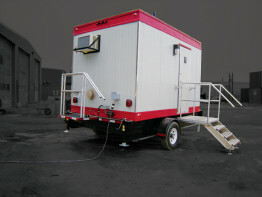 CORE is also a distributor for “Als Premium Portables” CSA certified all season washrooms from big to small! Got a job you need a quote on? 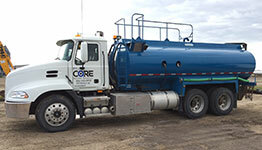 At CORE, we can help you get the job done right. 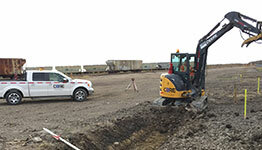 With many different pieces of equipment and trucks, we have the tool for any job. Follow the button to the right to contact us for your free quote today.